In the past few weeks, I’ve had the honor to be present at three completely different births: the unplanned home birth, a “second first birth” and a planned home birth that ended up in the hospital. These experiences reminded me of the importance of several issues, both large and small, that can greatly affect a woman’s labor and recovery. Although I’ve been trained as a doula, I don’t work in that field for a number of reasons, but I do offer my services in certain circumstances. This first birth was of a young woman, a recent olah, whose first birth was very long, complete with Demerol, an epidural, and a 24-hour stay in the labor room. “This birth”, she told me during her six month, “I would like it to be a bit shorter, with a lot less time laboring”, she smiled. I was on call for her when she rang to say she’d had some mild contractions, but she was driving at the time, so I should just be aware. Forty-five minutes later she texts me “come now!”, followed up by a phone call of “where are you? !” in a voice that, to my trained ear, sounded very much like pushing contractions. Thirty minutes later, I, and her husband arrived; thankfully, I had had the foresight to call Mada (Magen David Adom) on our way there. Fifteen minutes later a beautiful baby was born, on the couch. Not exactly what this young woman had planned, but certainly different from the first birth. 1. Calling 101: Mada (Magen David Adom) [101 from any phone] is an excellent resource for any pregnant woman who is due and feels strong contractions with an urge to push. In Israel, of the approximately 150,000 yearly births, 1000’s of them are born at home, in the car, and in taxi cabs (much to the chagrin of the drivers). If you are in labor, you will not be charged if the ambulance brings you to the hospital. 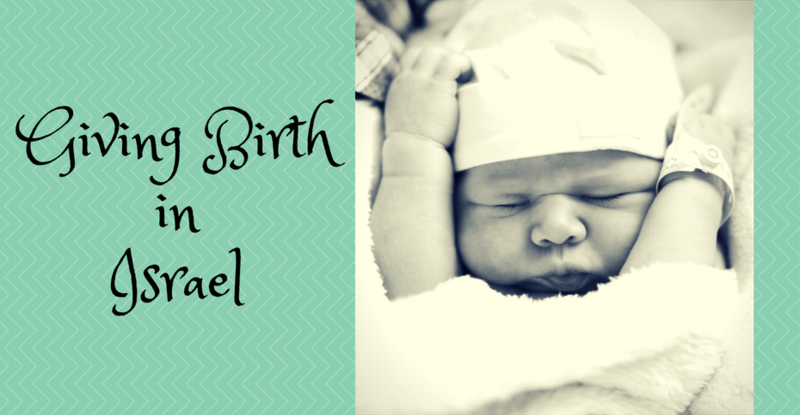 The second birth I attended was just that, a second birth. However, this woman’s first birth had been ten years prior, which creates an interesting situation. For any of you who have watched my new favorite show, Call the Midwife, you may have noticed that they always send two midwives to first births. First births are known, both anecdotally and in the research, as more difficult. Why? 1) Because the body has never had a trial of labor before so no one knows what to expect. 2) Because the muscles and ligaments are not loosened by previous births which makes the process a bit harder. 3) Because first births are generally longer than subsequent births. However, when there is such a big gap between the first and second births, this distinction blurs a bit. At this birth, the mother didn’t quite remember the first birth, so although her body may have already done this once, she, herself, needed the reassurance that a first birth often requires. If you have a big gap between births, consider approaching it like a first birth. • understand that even if you know you will want an epidural, from the moment of stating that, however emphatically, until the moment you receive it, is an hour, at least. Also, you may have strong contractions that are pre-labor, where you will not even be admitted yet to the labor ward. You will need help managing the contractions before the epidural, so put your support system in place. The third birth was a planned home birth, based on the lovely first birth I attended over a year ago, a water birth in a small apartment on a mountainside. Saturday night I received a text that said, “heads up! My waters broke!”. Twenty-four hours later I received a text, “we’re on our way to the hospital :(. Labor hasn’t started.” Forty-eight hours after that, a beautiful baby was born, labor stimulated by Pitocin and delivered in a traditional delivery room of a big hospital. 1. The hospital system works on shifts. Unlike delivery in other countries, midwives conduct the majority of births, but they work per shift and not per birth. That means that from 7 to 8 am, 3 to 4:30 pm and 11 pm to 1 am, very little active patient care happens [that’s when shifts change, and doctors and nurses need to transfer information]. If you arrive at the hospital during those times, you will end up waiting, so if you can change the timing of arrival, do so. If you cannot, make sure you have a good support system, and patience, in place. 2. Hospital protocol does not operate on speed unless there is an emergency; then everything works in crisis mode, and Israel is great at crisis mode. However, if everything is safe, the system moves more slowly. Case in point, when my friend and her husband decided they would take the Pitocin to stimulate labor, around 1 pm in the afternoon, they were finally hooked up to the actual drip at 2 a.m. Why? Because the fetal heartbeat was sound, and they were not an emergency, and unplanned emergencies kept sending them to the back of the line. This is not a failure of the system, just a reality of it, and one that you need to understand when you interact with the system. As the famous Yiddish expression states, “People plan; G-d laughs”. I don’t think G-d is laughing during labor but surely smiling down beneficently, saying, ‘you do not have control of this situation, at all’. This is not to say that you shouldn’t plan; you should definitely plan, think about your own wants; put your support system in place. At the same time, you must embrace flexibility, because as you can see if, from my brief examples, births often progress much differently than planned. Very well written and insightful reflection. Thank you for sharing! So I’m not the only crazy person who has given birth in a taxi?! B”H at least we made it to hospital parking lot so a DR. came out to catch the baby! The taxi driver proudly accepted “mazal tov”s!